Our ears perk up when we’re told of good food in out-of-the-way locations. It’s not that being ‘off the beaten path’ is a virtue in and of itself, but more that these unconventional setups have a greater than average chance of being ‘food forward’… which is to say, focused on putting out a quality meal. Little Eatery and Darista Cafe both qualify, and are what would be considered ‘pop-up’ restaurants. Both operate out of the patio kitchen tucked under an overhang outside of the Hill’s Market; Little Eatery on Wednesdays & Thursdays during lunch, Darista for Friday lunches (both 11am-2pm). They’re similar in ethos, emphasizing the use of fresh and local fare, but distinct in the end results. 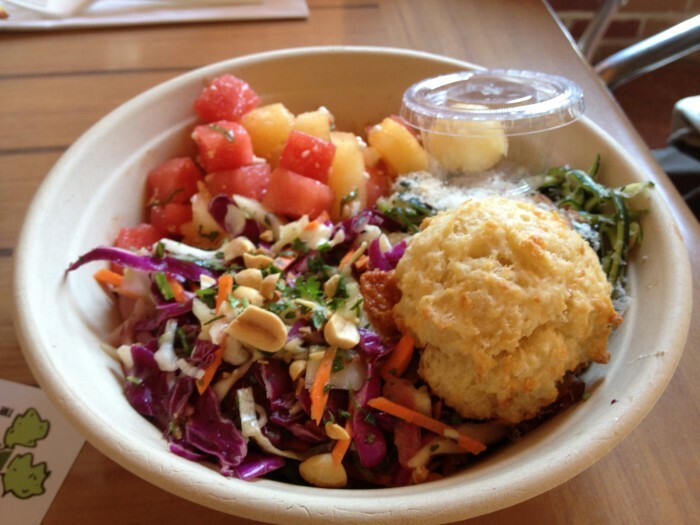 Little Eatery specializes in salads, and impressively inventive ones at that. They’ve taken the best of what’s currently offered at the local farmers markets and assembled them with a degree of creativity and savory appeal that’s sure to get the attention of even the most devoted of carnivores (like… me). We tried the zucchini salad, with parmesan, toasted almonds, and olive oil, the yellow & red watermelon with chili, mint, and feta, and the peanut slaw with pickled onion & jalapeno cabbage, cucumber, green onion, basil, mint & cilantro. All of these were chosen from their ‘Market Salads’ menu – 2 scoops (mix & match) for $7, or 3 scoops (mix & match) for $10. The 3 scoop option comes with a delicious buttermilk cheddar biscuit served with honey butter. All were genuinely enjoyed, and 3 scoops made for a hearty meal. A special nod goes to the peanut slaw – it’s the rare salad that provides truly novel flavor combinations that work, and this did all of that and then some. 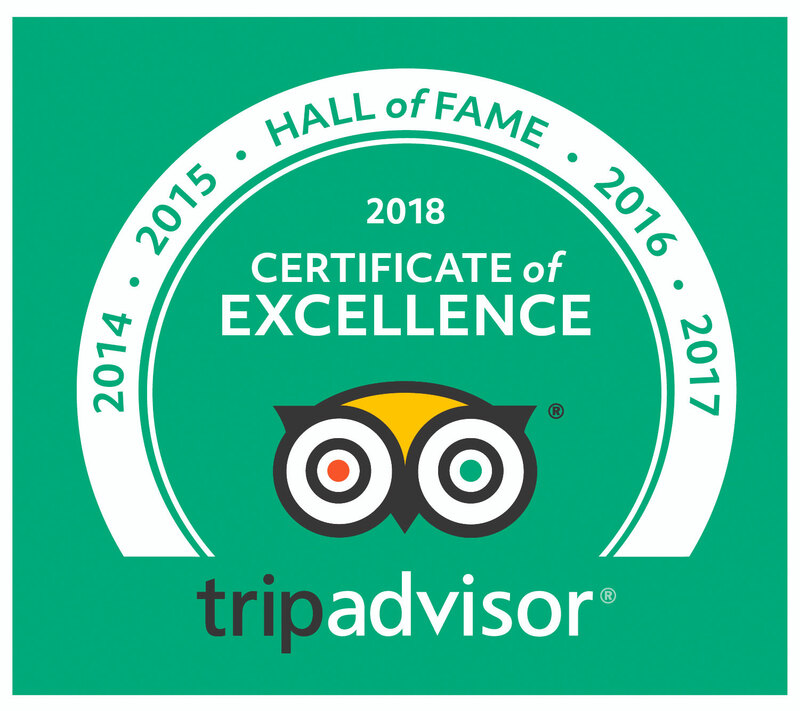 Darista Cafe’s tagline is ‘World Inspired Local Fare’, and the menu emphatically bears this out – think patacon maracucho, fried green tomato and heirloom salad, cucumber gaspacho, and berry & lemon scones with lemon curd. 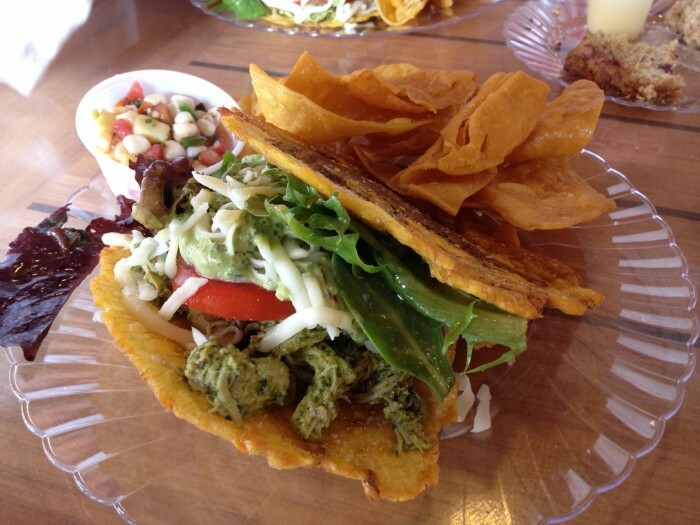 We tried the patacon, which is essentially a sandwich that uses plantain-based tostones in lieu of bread. Huh. To be honest, I generally dislike tostones – after 2 weeks in Puerto Rico I had hoped to never encounter one again. But these… these were unexpected; not the thick, flavorless masses of oil-soaked starch inexplicably favored by the island territory, but thin, crisp, pleasantly salty, and entirely appropriate to the purpose. Which is to say, the purpose of containing a generous portion of pulled cilantro chicken topped with tomato, avocado puree, mozzarella, and greens. Put together, it’s a flavor bomb – bold, bright flavors in balance – and entirely addictive (fans of El Arepazo’s cilantro sauce will understand where I’m coming from). I had it once, found myself back at the Hills for an event the next day that Darista was open for, and had to have it again. 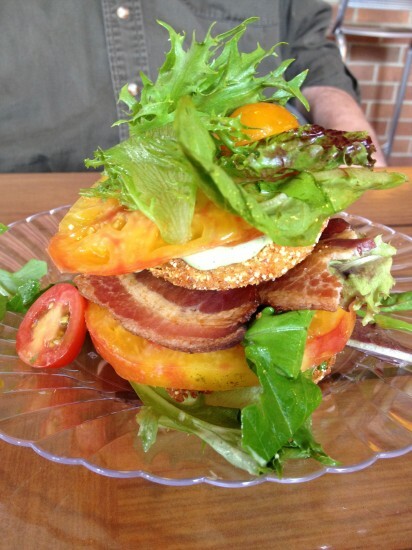 The fried green tomato salad garnered similar raves from our dining partners who enjoyed the contrasting textures of the crunch fried tomatoes with the ripe heirloom tomatoes. Both Little Eatery and Darista Cafe will be at Hills Market (7860 Olentangy River Road Columbus) until the end of October. You can find them out on the veranda from 11am-2pm. Check their Facebook pages for weekly menus.